As usual, their container designs are modern and simple with bold color. 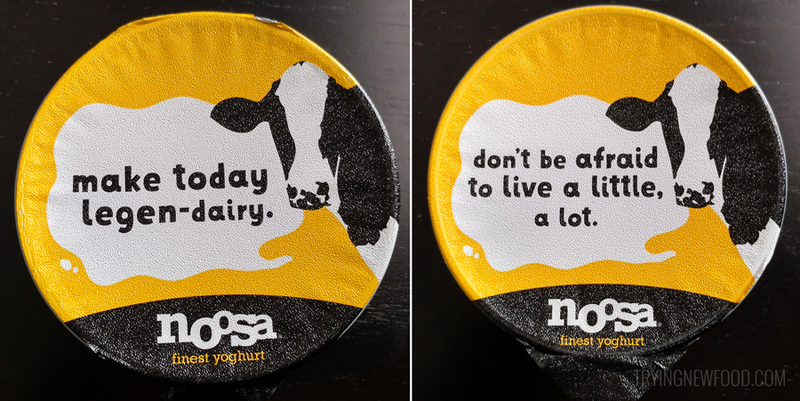 The foil tops had different phrases on both sides (didn’t take photos of the underside because they were covered in yoghurt and not too good-looking). The Key Lime Noosa uses actual key lime puree, which was great to see since a lot of products claim to be Key Lime flavored but just use normal limes. This flavor has a good balance between tart and sweet, with a pleasant buttery aftertaste. The Blackberry Serrano Noosa is more spicy than sweet. 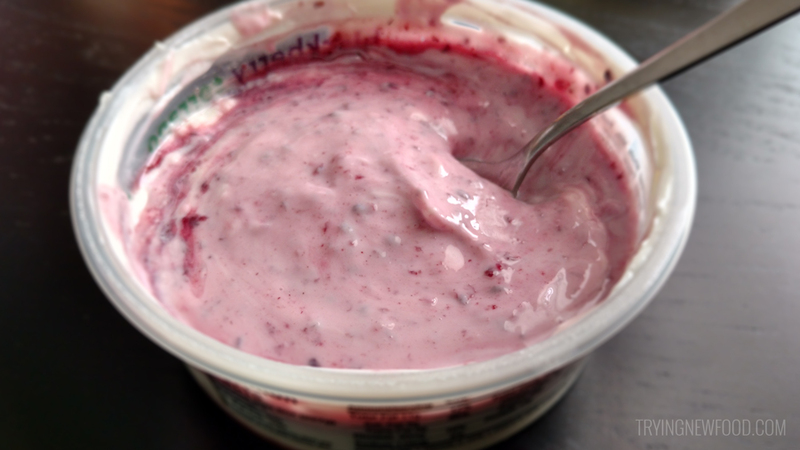 The spiciness is overpowers the flavor of the blackberry, so this ends up an oddly savory yoghurt. 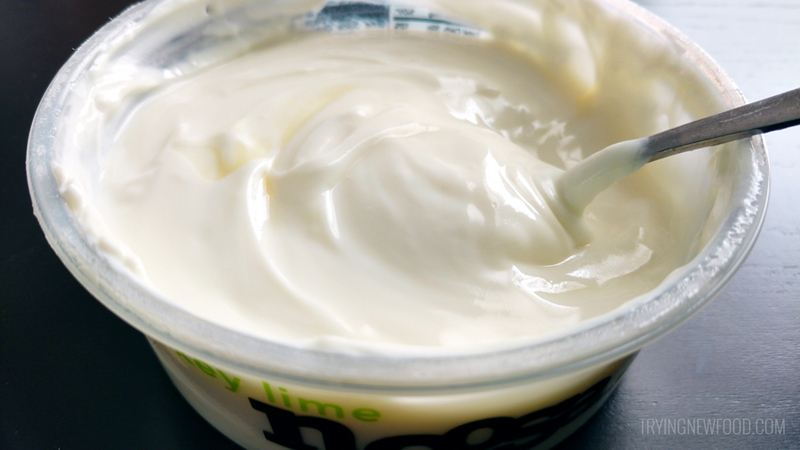 The Key Lime Noosa 8 oz. 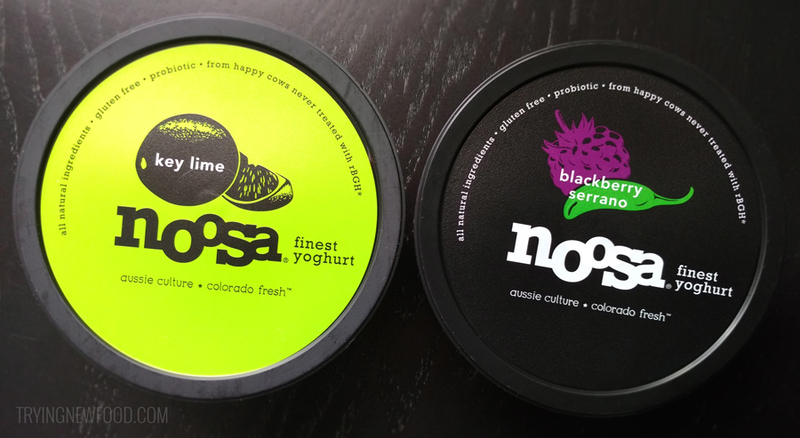 container is 320 calories and the Blackberry Serrano Noosa is 300 calories. In the end, I would purchase the key lime one again, but not the blackberry serrano.